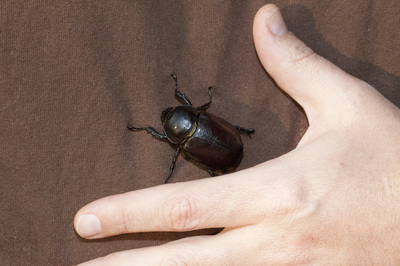 The Eastern Hercules Beetle (Dynastes tityus) is the largest beetle in the eastern United States, growing to 2 inches in length! 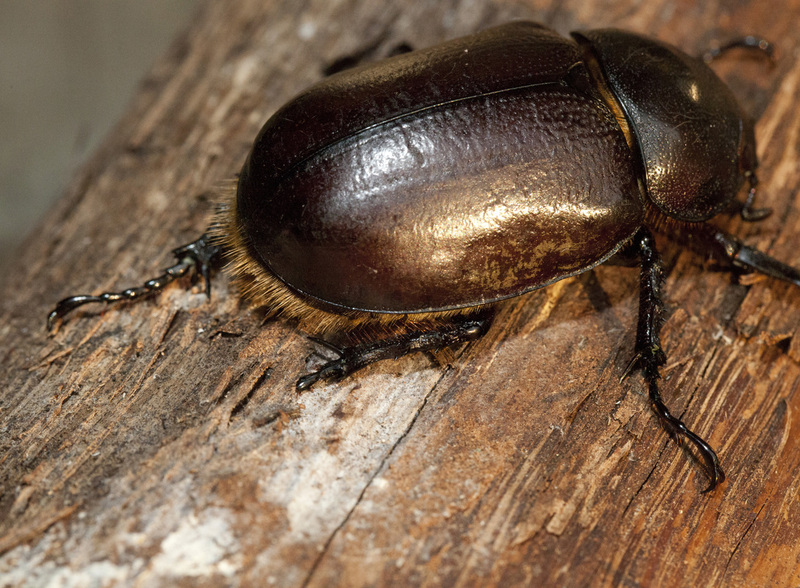 It is a member of the Scarab Beetle family (Scarabaeidae) which also includes Japanese Beetles, June Bugs, and Dung Beetles. These beetles are found in the hardwood forests of the eastern United States. The males of the species have 2 horn-shaped pincers on their head, but the female (pictured above) lacks these pincers. 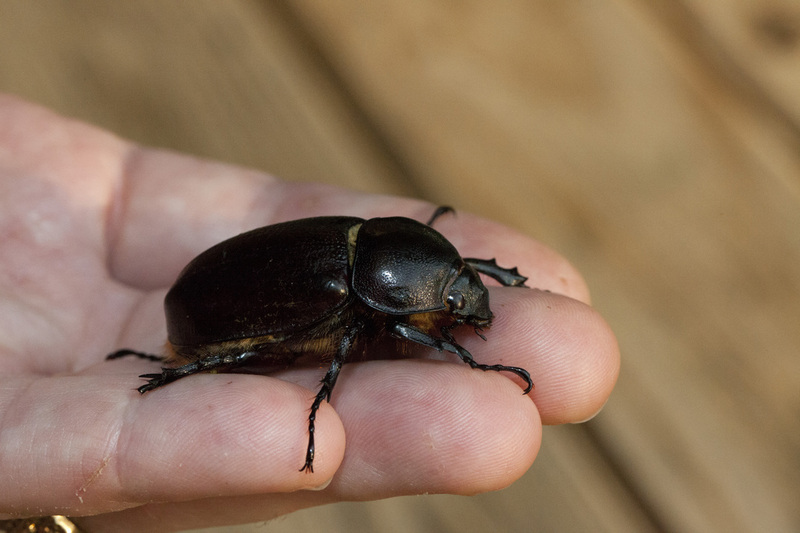 The males use these pincers to fight one another for the right to mate with a particular female.The color of these beetles can vary from a pale greenish gray or tan color with dark markings to dark brown depending on how well hydrated these beetles are. They are often very dark in color when the first emerge from the moist soil, but their color will usually fade as they dry out. The individual pictured above was kept in a well-hydrated container for several days before these shots were taken. The female beetle will burrow into the ground to lay her eggs. 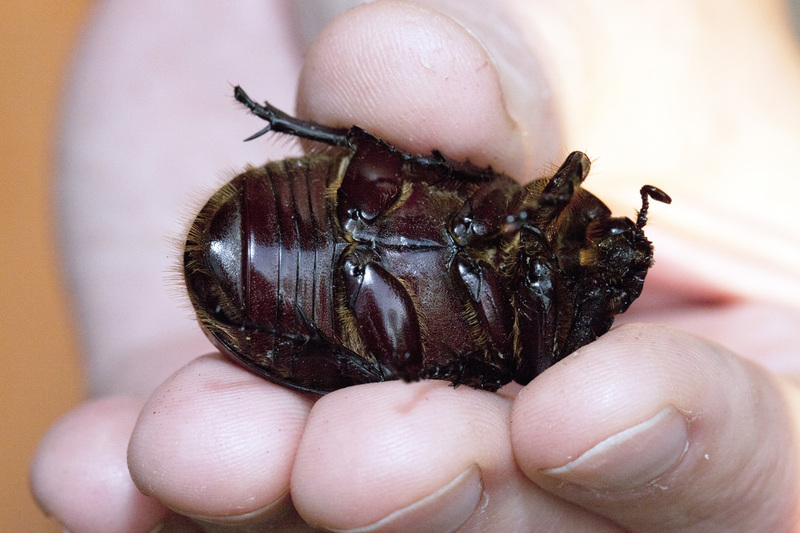 larvae of these beetles develop underground, and it takes 6 months to 1 year for them to turn into pupae. 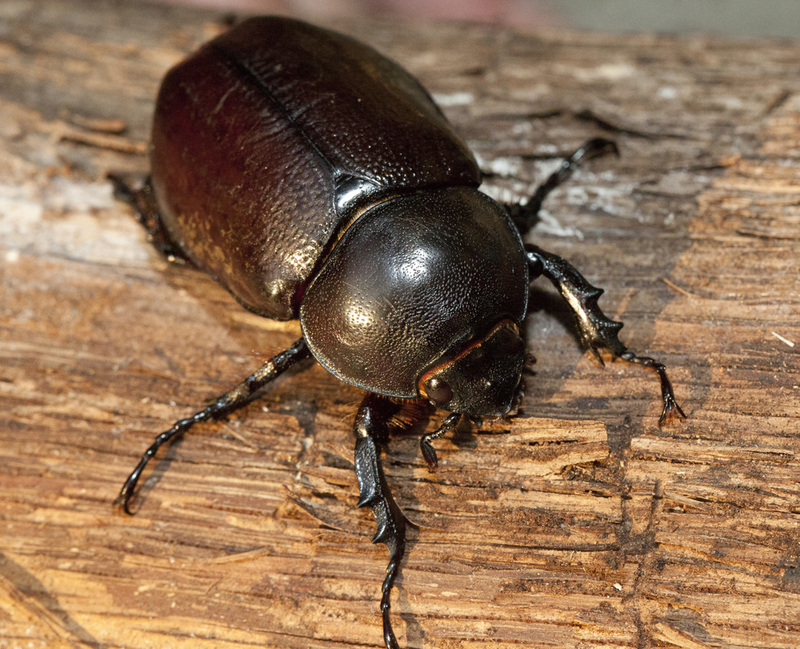 After a few weeks, the adult beetle will emerge, but they remain underground until temperatures warm in the spring. 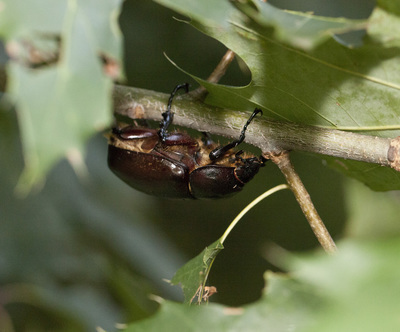 These beetles feed on decaying plant material such as dead trees. 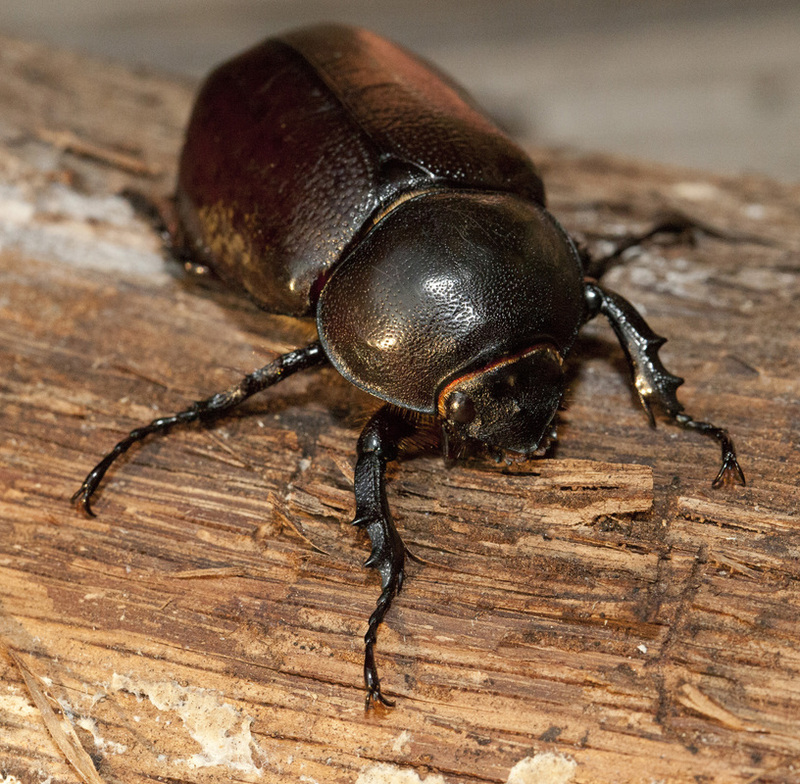 They are often found in rotten tree stumps where they have burrowed.